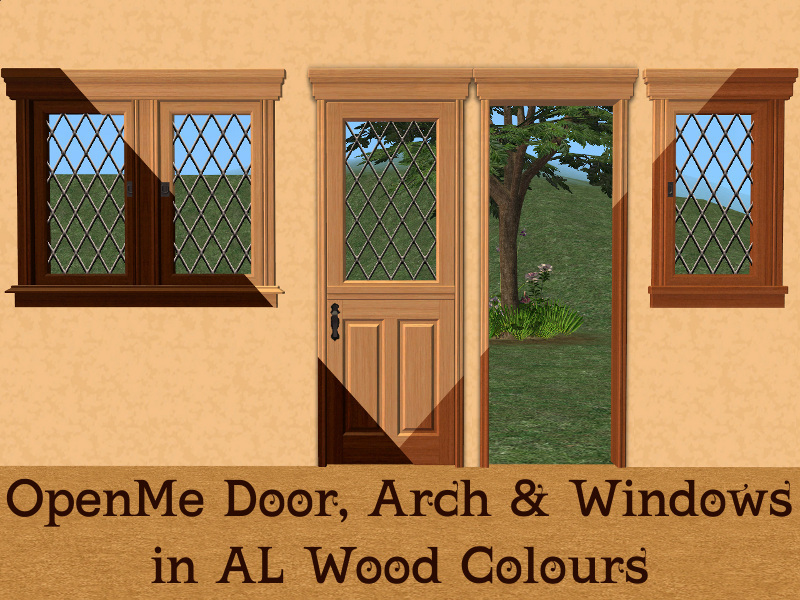 3 Apartment Life wood recolours of the Nightlife OpenMe Door, Arch & Windows. 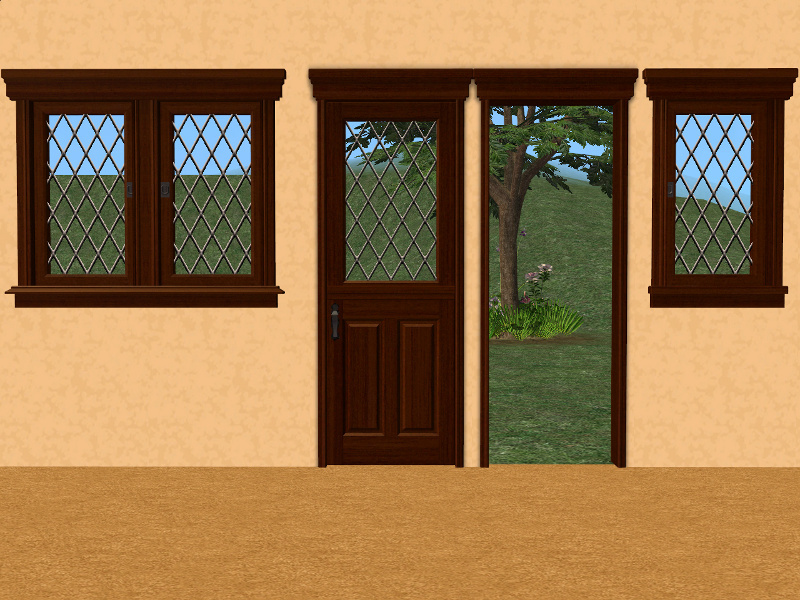 Clear glass included with the Darkwood door and window. 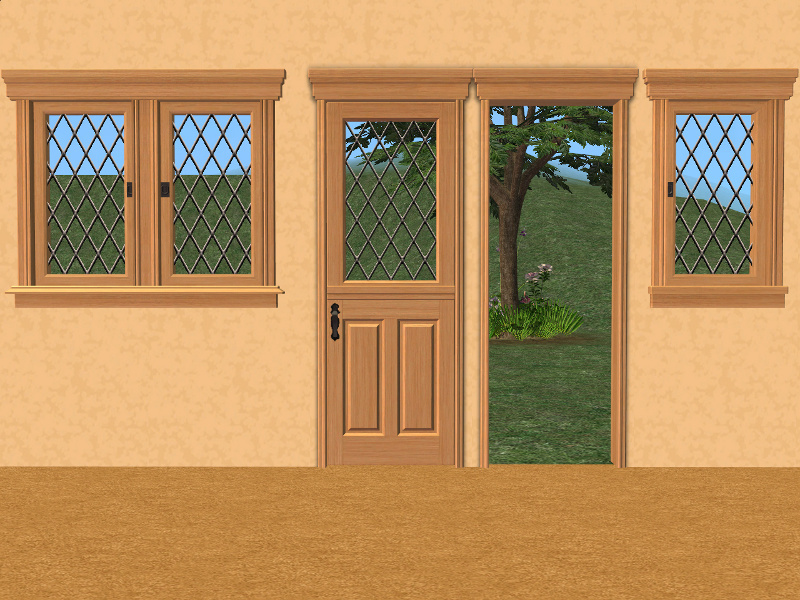 The door recolours the arch and the single window recolours the double window. Plants used in the screenshots are by macarossi and can be found HERE. I keep wondering if one day my game is just going to explode, with all the custom content I download it must be a matter of time. Until then though, please keep the AL Wood colours coming. I should have added these links to the original post...sorry. Our very own Lee has been very busy making additional 'OpenMe' doors and windows they can be found HERE, HERE & HERE. Jon (TheNinthWave) has done a couple of new versions of the door, you will find them HERE and HERE. Windkeeper has also added a couple of doors and windows to the collection, found HERE & HERE. @ Xander, I'll keep going as long as I can, it's my goal to eventually recolour all Maxis objects in these 3 colours. Whether I reach that goal depends on how bored I get also my healthy and fitness.